2.Cut avocado and tomato into bite-sized cubes. 3.Melt butter in nonstick frying pan. 4.Add eggs, use spatula to fold as they cook so bottom doesn’t become hard. 5.Add avocado and tomato before eggs set (still runny). 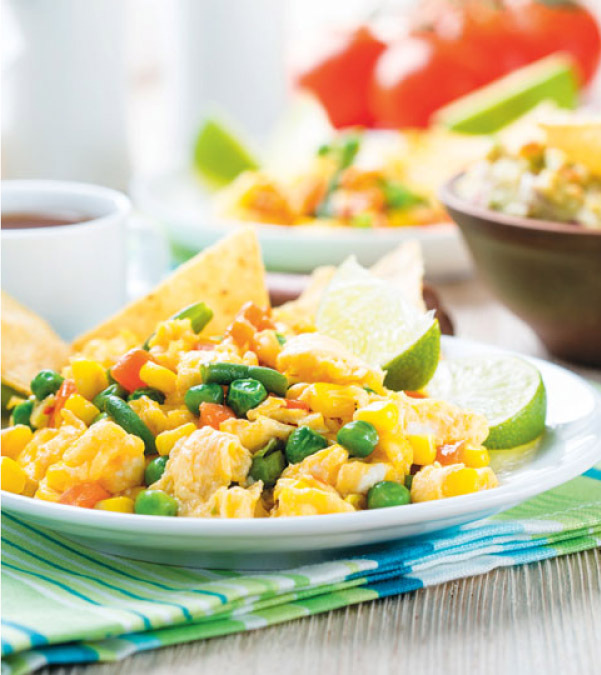 6.Continue to use spatula to fold eggs until firm Plate eggs and put Culinary Tours Corn Salsa on top. 7.Serve with toast or tortillas!